​* Corinthians were founded in 1882 by the Football Association to develop a club capable of defeating Scotland. In essence, Corinthians were the first England team. * Between 1883 and 1890, 52 of the 88 caps awarded against Scotland went to Corinthian players. In fact, in 1894 and 1895, Corinthians fielded the full England side twice… the only club to ever manage this feat. To this day, no other club has provided more players (86) for the England National team! * It’s acknowledged that England wear white in homage to the Corinthian strip. It’s also a fact that Real Madrid, inspired by Corinthians, adopted their white strip. * However, Corinthian’s greatest contribution to the game was their footballing missionary work; popularising the beautiful game by touring across Europe, South Africa, USA, Canada and South America. * It was on a tour to Brazil in 1910 which inspired locals to found their own team in Corinthian’s honour… that club has since gone on to be the largest in South America and the only team to win the FIFA World Club Championship twice (defeating Chelsea in 2011). * The Corinthians were so good, they regularly defeated league and FA Cup winning opponents. In fact, in 1904, they defeated Manchester United 11-3 – their heaviest defeat to this day. The centenary of that match was played in 2004 with United claiming a 3-1 victory. * In 1939, Corinthians merged with another famous amateur club, The Casuals to become the club that, to this day, resides in Tolworth. 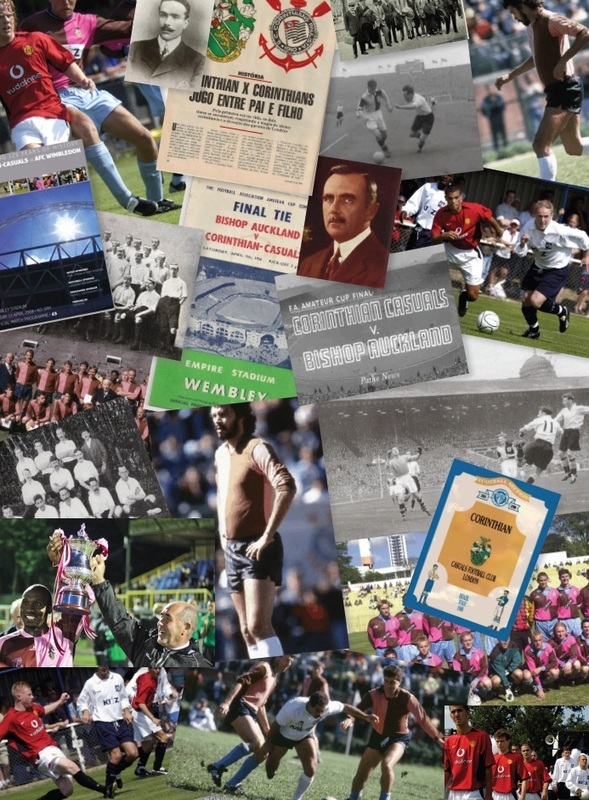 * Corinthian-Casuals has called the borough of Kingston upon Thames home for 30 years. * Corinthian-Casuals are the highest ranked fully amateur team in Senior football. We maintain our original ethos of fair play and good sportsmanship across all levels of football. * In a poll, Corinthians Paulista fans in Brazil voted for Casuals to be the team they’d most like to see open their new Corinthians Arena… the venue for the opening game in the 2014 World Cup.